Featured Designer: Miriam Haskell | Oh, for the Love of Vintage! 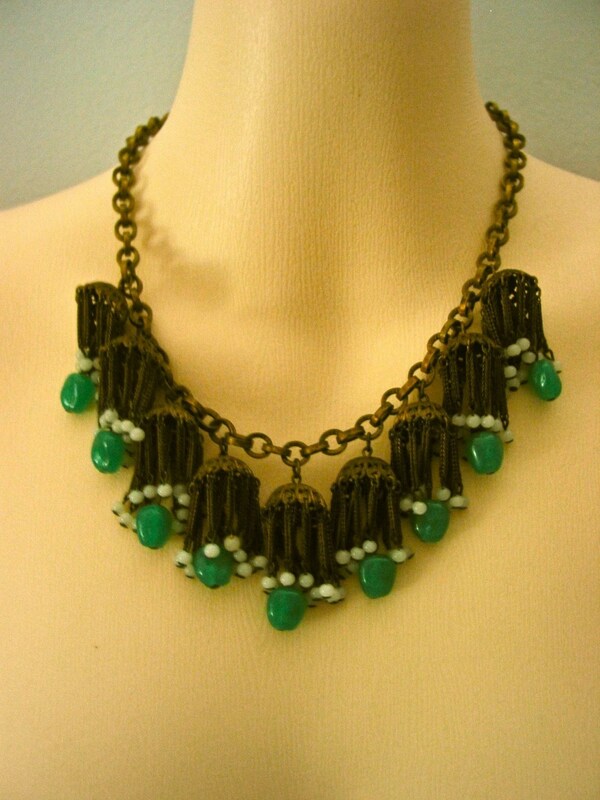 If you know anything about vintage jewellery, then you’re familiar with Miriam Haskell‘s name and designs. Miriam Haskell was an American designer who created amazingly intricate and beautiful costume pieces through the 1920s-50s. Haskell’s pieces were distinct because of the design, intricacy, high quality materials and affordable prices. In 1920, Miriam Haskell founded her own jewellery company with creative partner Frank Hess (head jewellery designer). Sadly in the 1950s she lost control of her company to her brothers and ceased designing jewellery. The Miriam Haskell company continued to produce jewellery and still does to this day. However, it’s nothing like her original and incredible designs. Haskell’s jewellery was very popular and often used in publicity shots for Hollywood stars. 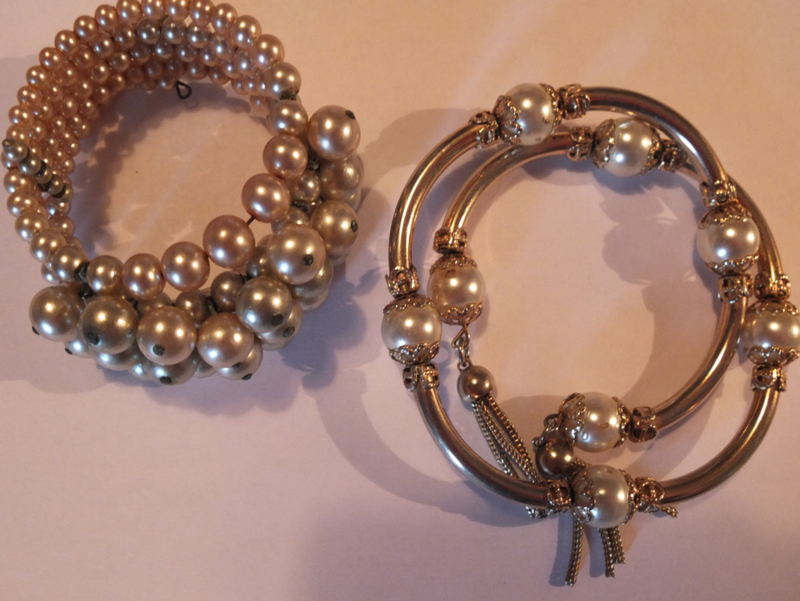 Her jewellery is highly collectible and very sought after. The more unique and intricate the piece, the higher the price. However, you can find affordable Haskell pieces at flea markets, antique shops and online. It is often difficult to tell if a piece is a true Haskell piece, as her jewellery wasn’t signed until 1947. Haskell’s designs were so unique, that they were often copied by competitors. This makes her pieces even more difficult to identify. I love Miriam Haskell jewellery and am very inspired by it. I have a few pieces in my collection which I believe are Haskell pieces, but I’m not certain. You can check them out below, I refer to them as my ‘Haskellesque’ pieces. 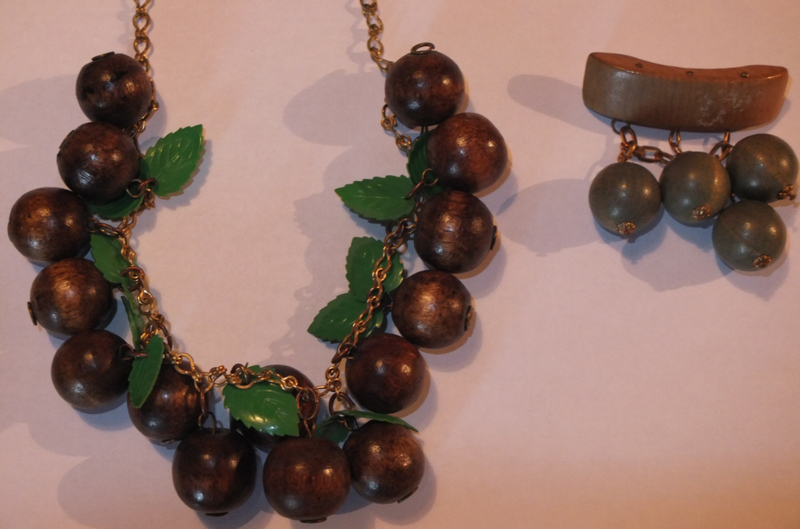 Wooden cherry necklace and brooch, similar to Haskell’s early wooden work. Let’s have a closer look at her jewellery, shall we? 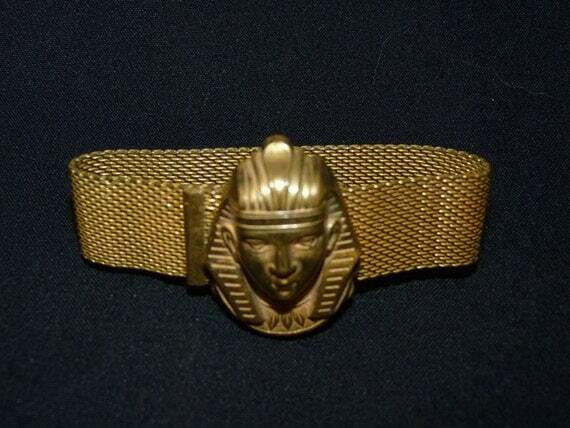 As you know, I have a love for Egyptian prints and revival jewellery. So I simply had to post this Haskell bracelet! Wow! Miriam Haskell did many beautiful jet mourning pieces also, like the below. 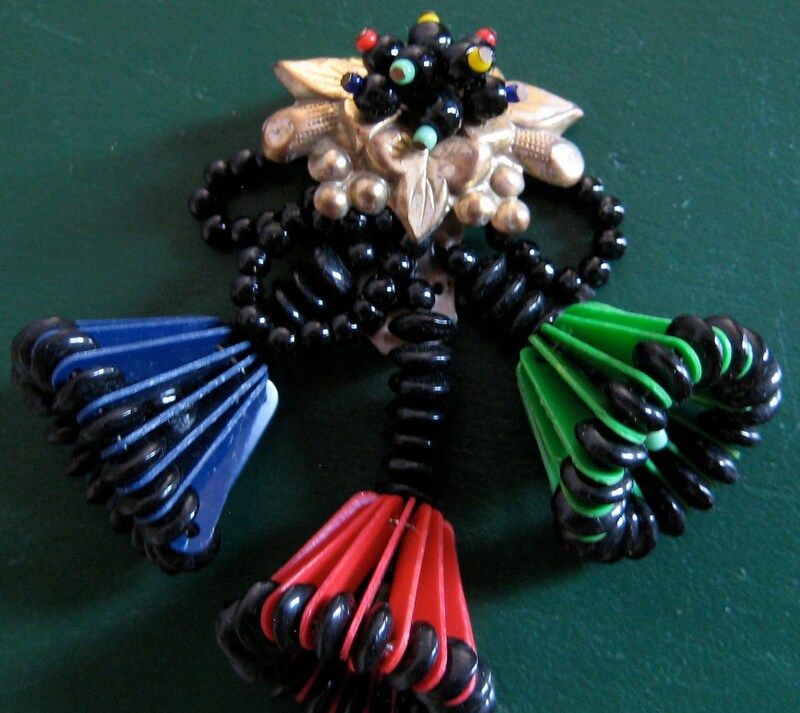 Miriam Haskell designed some amazing novelty jewellery pieces out of Bakelite. These pieces often sell at high collectors prices. Do check out Morning Glory Jewelery to see more of Miriam Haskell’s work. Glorious jewellery! 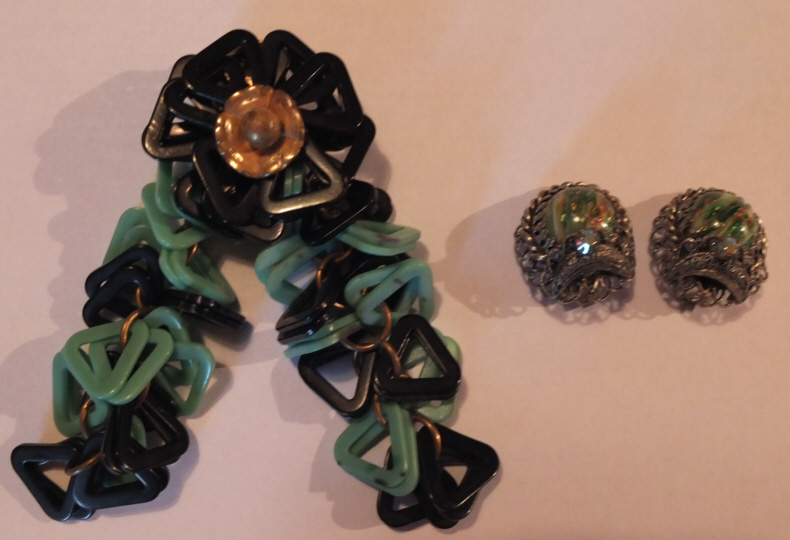 I particularly love the bakelite pieces and the coloured dress clip is really fun. I didn’t realise she lost her business to her brothers! 😦 Perhaps her life story would make a good movie! Sigh, I love her designs. The turquoise pieces are my favourite. Your collection is seriously impressive! You should consider doing a post about how you store/care for your collection! I have two signed 40s brooches ~ love them! I like your necklace the best! Catwalk, yes it’s sad she lost her business to her brothers. I’m not sure exactly what took place, but it was unfortunate for her. Dallas, I’m glad you like them! That’s a great idea for a post. However, my collection is all over the place in boxes, jewellery cases, etc. I need to find a way to organize them better! Vintage, I’d love to see them. Show me on twitter? Thanks Garofit. ;0 I love your blog, by the way! Theodora, I love that brooch too. Such a statement piece. I think the necklace is supposed to be cherries. Really nice construction and beautiful themes. This jewelry is more like art to me. Absolutely, she was a true artist. Wow wow wow! I love how giant jewellery got in the 50s and 60s… I think I definitely need more “finishing touches”, like jewellery and hats and gloves if I want to come off like a real woman from the past! Pingback: Kittens, Brooches, and More – Oh My! « Oh, for the Love of Vintage! Pingback: Featured Designer: Sherman « Oh, for the Love of Vintage!